Many homeowners have on-lot septic system instead of a standard public sewer system in Pike County area, including Dingmans Ferry, PA and Bushkill, PA. You can find homes or properties with septic systems in many different parts of the United States: in the mountains, by the shore, in the country and other locations. In this part of Pennsylvania, the Septic Systems are typically turkey mounds (also referred to as elevated sand mounds). How you utilize your system and how well you keep up on maintenance will help to determine the life of your septic system. Maintenance is the backbone of a septic system and tank: without it, you can damage your system and reduce its lifespan by years. Ultimately the costs of replacing a septic tank far outweigh the costs of yearly or bi-yearly septic system maintenance, and can increase the life and reliability of your system. A septic tank is almost like a living organism; in fact, the bacteria within it is utilized to break down waste products. So if you are willing and able to take care of it, you will be able to prolong its life and in prime working condition. 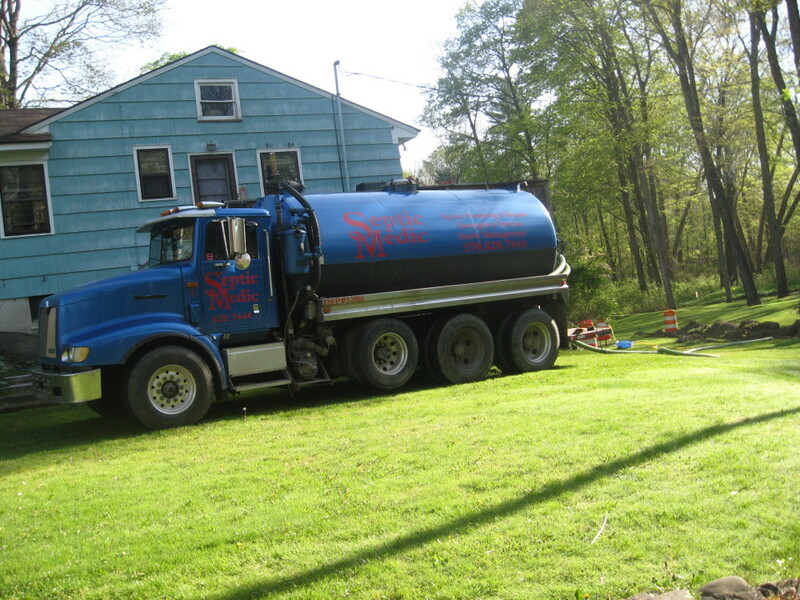 So what exactly should one expect when first dealing with a septic tank? For those who are completely unfamiliar with septic tanks and septic systems, it is a system that breaks down solid wastes and directs treated liquids. You have pipes that exit your home like any other home: pipes running from the shower drain, the toilet and the sinks. The waste water and solid wastes enters into a septic tank, which usually is designed to hold around 1,000 gallons or more. New water enters the tank and pushes our or displaces the older water, which then flows out of the tank into the drain field. Within the drain field, the water is slowly absorbed, but that also may depend on how much clay is contained within the dirt. The bio mat is where all the action happens. This top layer is a living organism, that is why it is so important to not use harsh chemicals. Learning about what you can and cannot flush down the toilet, which can include disposable wipes, certain types of cleaning solutions and much more. Scheduling septic tank maintenance and system inspections on an annual basis are highly recommended. You may even require inspections twice a year if you have a larger family and see a lot of use through your system. Maintaining good awareness of the do’s and do not’s as taught to you by your local septic service company can really help you in the long run and provide you with a level of comfort knowing that your system will continually run smoothly as long as you take the time to invest in it.